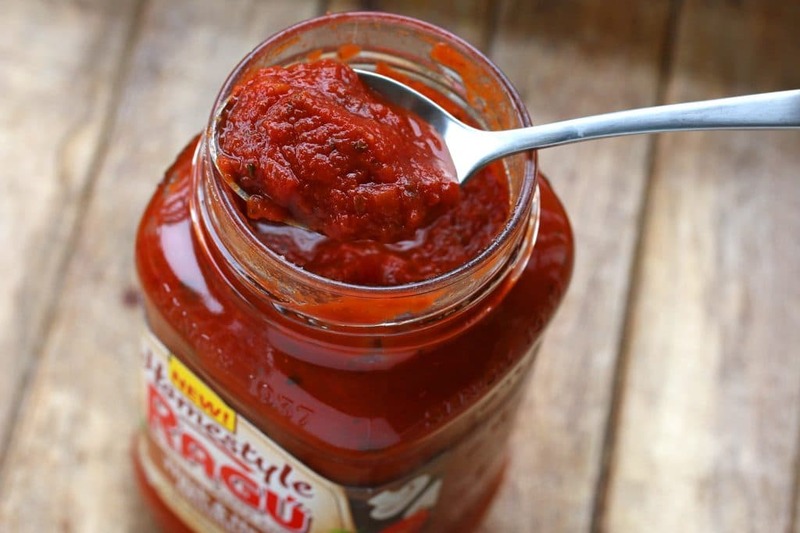 Thank you to RAGÚ for sponsoring this post. It all began in 1914 when a young woman named Assunta Cantisano left Italy in a ship bound for America. She took few possessions with her but among them was her family’s cherished pasta sauce recipe. Then the Great Depression hit and in 1937 Assunta and her husband Giovanni braved the hard times by making homemade pasta sauce with tomatoes picked fresh from their backyard garden and selling it right from their front porch. Word of their sauce began to spread to the point where their outgrew their home kitchen and less than 10 years later they opened their first sauce-making facility in Rochester, New York. Their company continued to grow and by the 1960’s RAGÚ had become a household name in American homes from coast to coast. 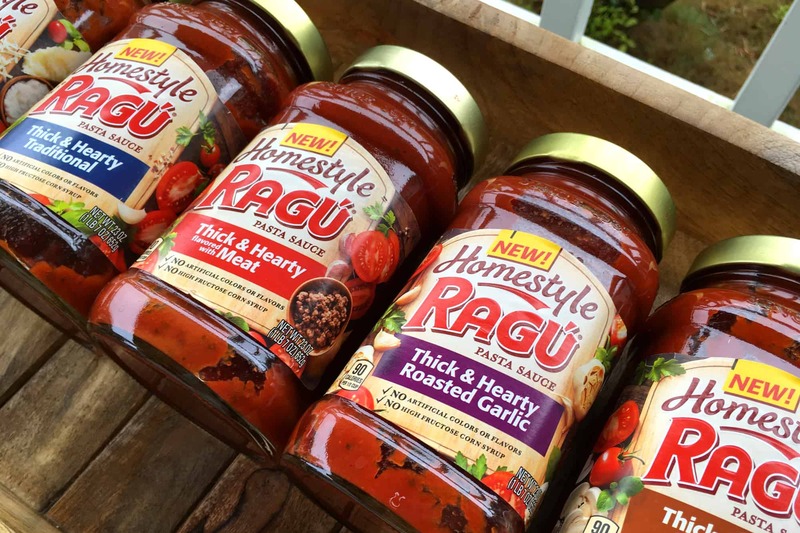 Now celebrating their 80-year legacy of bringing quality sauces to America’s family tables, RAGÚ’s tradition continues with their thick and hearty Homestyle Sauces. 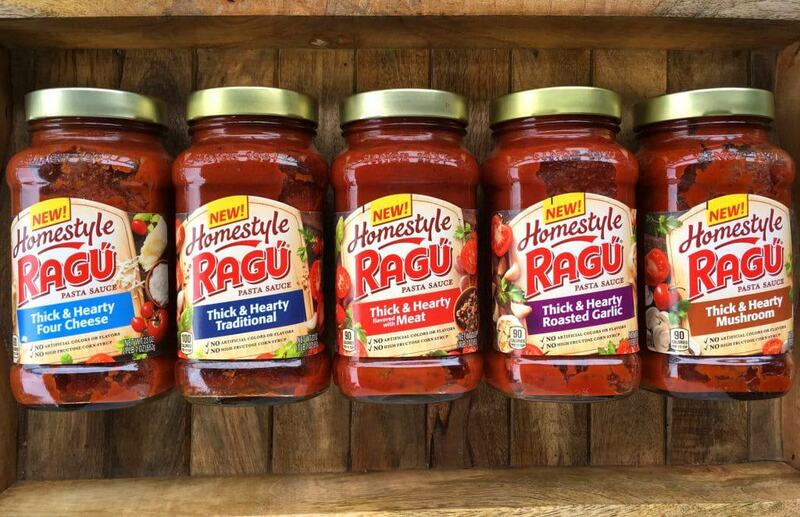 RAGÚ’s Homestyle Sauces are simmered in tradition with the belief that a great sauce starts with great ingredients. 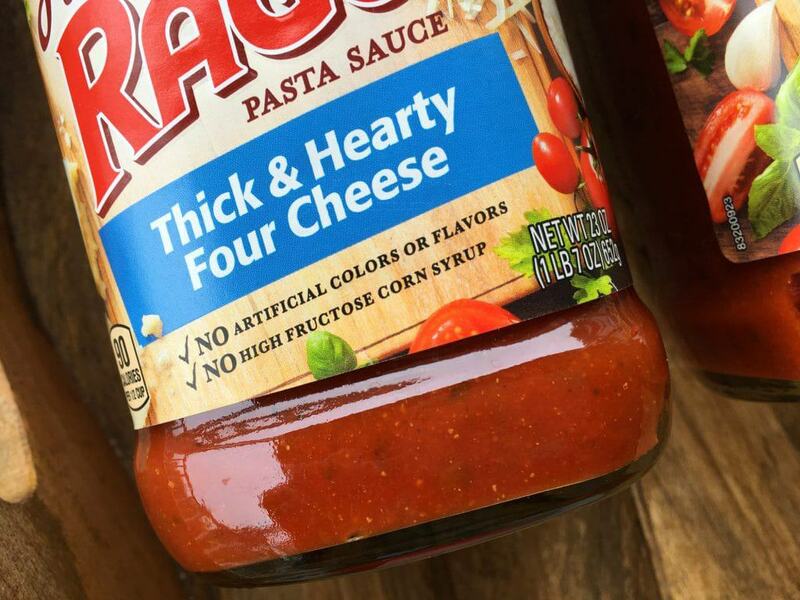 Our family appreciates brands like RAGÚ who are committed to providing quick and delicious options for busy cooks without adding that dreaded long list of ingredients that includes artificial flavors, colors and high fructose corn syrup. RAGÚ makes dinnertime easy for those busy weekday evenings. In its simplest form, RAGÚ’s Homestyle Sauces are delicious straight out of the bottle and poured directly onto a bed of pasta. Or you can incorporate them into a variety of tomato-based dishes in combination with other ingredients of your choice. 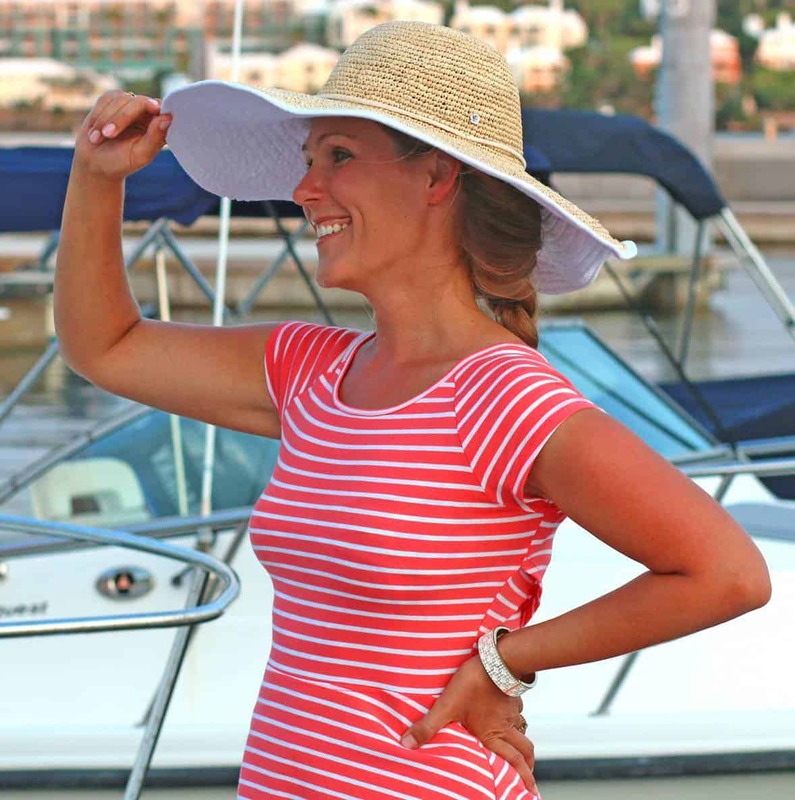 I cannot help but wonder what Assunta Cantisano would have thought had she been able to catch a glimpse of the legacy she’d leave behind as she left the docks of Naples to continue her family tradition in America. Happy 80th birthday to RAGÚ and to the Cantisano family who all those years ago turned an Italian tradition into an American classic! Follow RAGÚ on Facebook, Pinterest, Twitter and Instagram. 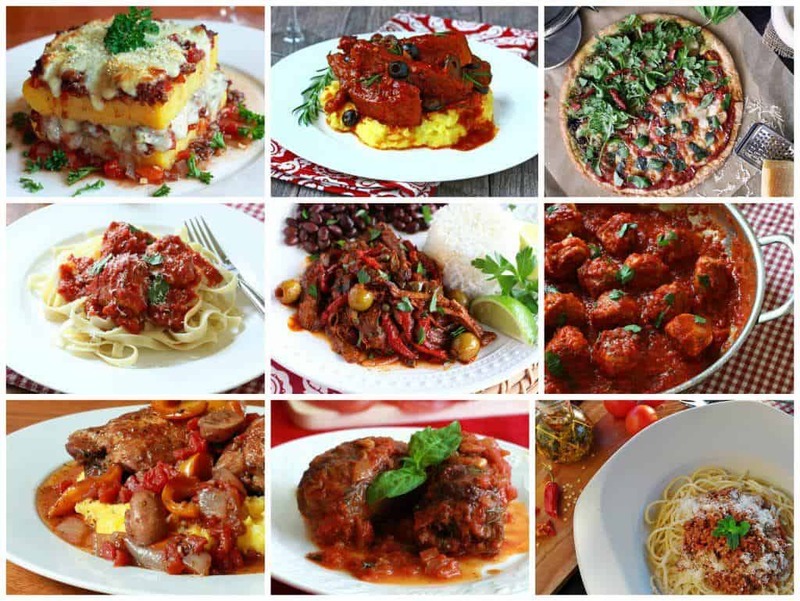 Thank you to RAGÚ for sponsoring this post and to my readers for supporting the brands who help make The Daring Gourmet possible! What a great story! I had no idea about Ragu’s origins. We’ve used their sauces for years. Your dishes all look so mouthwatering, I’m making your ropa vieja this weekend! We always see these brands in the store and never stop to think that there may be a real and personal story behind them. Thanks for sharing this along with all that tomato sauce inspiration, yummmm! I love to see stories like this! It’s so encouraging to know that hard work and perseverance do pay off in the end. What a legacy! This is seriously my favorite sauce — we use it constantly! Now I need to make some spaghetti! Isn’t it amazing to think of all that’s happened just from her making pasta sauce! I bet she never could have imagined that bringing that recipe with her would have grown to all of this! haha. Ps. we love RAGÚ! I love all the different varieties….something for everyone!